Trained on 60,000+ questions and answers. The system learns based on what the agent does. 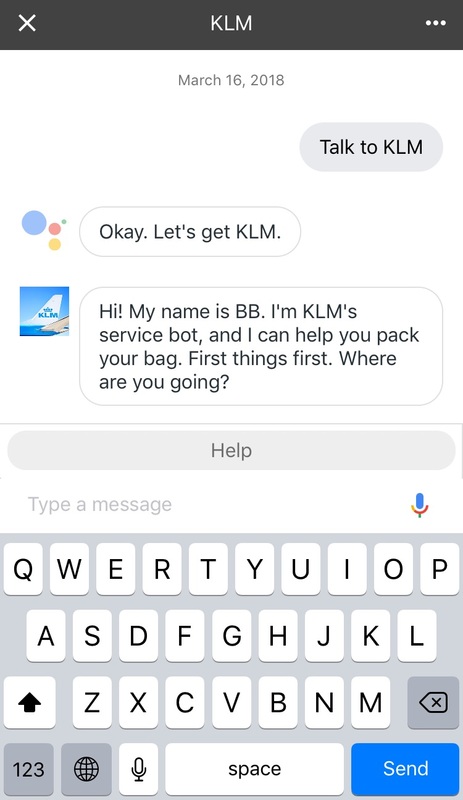 With Google Assistant's KLM bot users receive tips on how to pack bags for flight based on a destination. 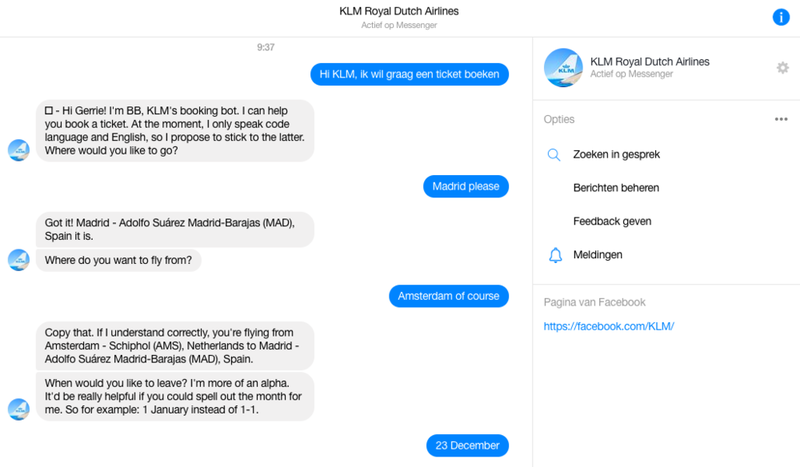 Uses Artificial Intelligence through Blue Bot service to speak to users in a conversational manner. Answers frequently asked questions and provides information about airline requirements.